Artcadia prints unique designs on beautiful paper using old noisy presses! 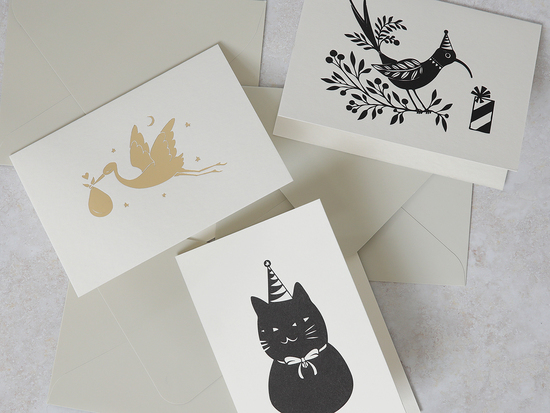 We are a letterpress stationery shop and design studio based in Shrewsbury, UK. Founded in 2009, we are considered one of the pioneers in the resurgence of letterpress printing in the UK. We have come a long way, from humble beginnings, working on a treadle press in a garden shed, fast forward to 2018, where you'll find us in a beautiful studio, bustling with creativity and production. 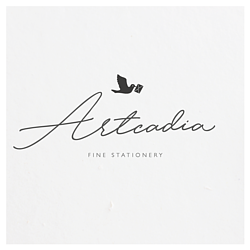 Ever mindful of social grace and the precious practice of written correspondence, Artcadia offers a full range of stationery items designed for modern communique. We are often noted for our personal service, classic typography, hand drawn illustrations and a keen eye for detail that ensures consistent paper perfection. We honour the tradition of print design with a very contemporary sensibility, combining modern design with soft papers and letterpress printing. We are faithful lovers of this historic craft. We believe in the creation of beautiful things and we want, like you, to feel good about where our beautiful things come from. We print sustainably, doing things all responsible printers should do. We use vegetable oil based inks. We use low-VOC and citrus-based solvents. We recycle our paper offcuts, and printing plates. Old ink tins and used rags are kept out of landfill. We use recycled packaging materials and reuse packing materials from our vendors wherever possible. We donate surplus paper and envelopes to our children's primary school and nursery. We print on cotton paper and FSC certified paper. Cotton is a sustainable and renewable resource. Our cotton paper is extremely soft, luxuriously thick, and has a satin feel. It's also perfect for letterpress. FSC certified papers are sourced in an environmentally-friendly, socially responsible and economically viable manner. Our clear retail packaging is made in the UK from film that has been accredited to 'OK biobased' and DIN EN 13432. They are made from annually renewable PLA derived from corn or similar starches (potato etc.) and are fully biodegradable and compostable, breaking down to CO2 and H2O. All of our products are designed and printed in the UK, mostly in our Shrewsbury studio on our vintage windmill press. All of our paper and card stocks sourcedfrom UK Paper Mills. We will continue to challenge ourselves to do better. Orders will be lovingly packaged to ensure they arrive safely. All orders that you place with Artcadia will be subject to acceptance in accordance with these terms and conditions. We uphold the right to cancel an order at any stage. 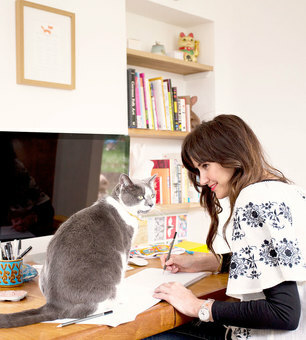 A full or part refund (to cover any design work) will be issued at our own discretion but will always be fair. Please ensure that information supplied for stationery is accurate to minimise amendment and reproofing. Any information that is incorrect but is approved by the customer and consequently printed is the customers responsibility and full charges will be applied for a reproof and reprint. Design proofs are sent via email unless specifically requested otherwise, using the wording and layout agreed in your order. Please note that you are responsible for checking layout, wording, spelling and grammar. If designs are approved/signed off with typos/errors and subsequently printed, Artcadia takes no responsibility. If replacements are required, they will be charged for in full. Note that colour on screen can differ from printed colour. Artcadia will always print as per the proof which is approved, unless Artcadia deviates from the approved proof, a refund or reprint will not be offered. Delivery will be via Royal Mail or DPD next day Courier. A signature will be required upon delivery to provide proof of receipt.